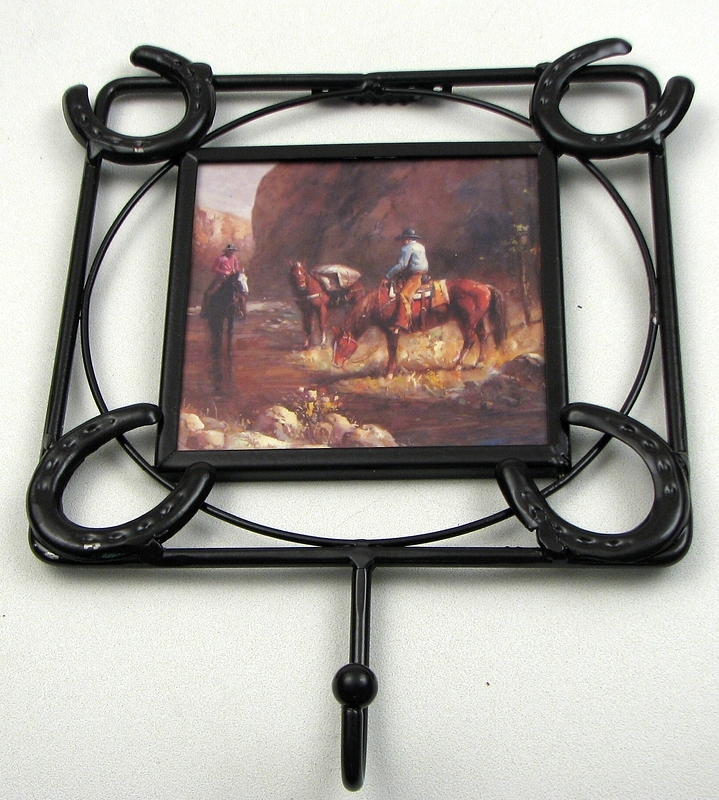 Measures: Cast Iron Frame with Ceramic tile center is perfect to decorate your wall and hang a coffee cup, or keys. Perfect for kitchen or breakfast room. Measures 6.5"W x 9.25"H x 1.25"D.